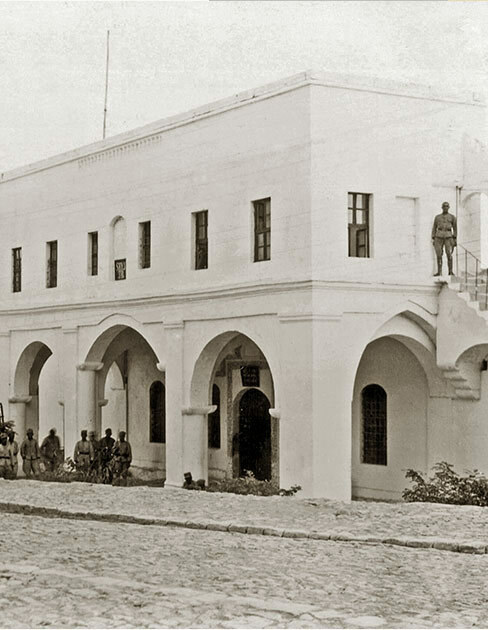 The building housing the Sakıp Sabancı Mardin City Museum and Dilek Sabancı Art Gallery was commissioned during the reign of Sultan Abdülhamid II (r.1876-1909) by the Governor of Diyarbakır Hacı Hasan Paşa in 1889 as a cavalry barracks and served that function for many years. The architect, Sarkis Elyas Lole was of Armenian origin. The two-storey structure’s lower level that is entered via the south gate was evidently the stables. The barracks subsequently served as Military Induction Office of the Gendarme Headquarters , Gendarmerie Post and, between 1991 and 2003, as tax office. In the year 2000, through the efforts led by ÇEKÜL(Foundation for the Protection and Promotion of Environmental and Cultural Assets), the value of the historical building was stressed and the need for its repair underlined. To this end, Sakıp Sabancı was contacted for financial assistance through the intermediation of Muammer Guler, who was then the Governor of Istanbul and who was born in Mardin. After the death of Sakıp Sabancı in 2004, in 2005 the Sabancı Foundation and the Sabancı family accepted this project as his bequest and on 28 March 2006, the “Sakıp Sabancı Mardin City Museum and Dilek Sabancı Art Gallery Protocol” was signed by Mardin’s then-Governor Mehmet Kılıçlar and Sabancı Foundation’s President of the Board of Trustees Güler Sabancı. In a ceremony where Güler Sabancı and Dilek Sabancı were also present, the restoration work on the museum building was officially started. Before and during the long construction and restoration processes undertaken by the Sabancı Foundation, all successive governors of Mardin, and first and foremost Temel Koçaklar, Mehmet Kılıçlar and Hasan Duruer, followed the project closely, and played active roles in its successful conclusion. At every stage until the opening of the museum to visitors, Istanbul Sakıp Sabancı Museum’s experts, the Office of the Governor of Mardin, the Mardin Municipality, MAREV Foundation and the people of Mardin have contributed significantly to the success of the project. 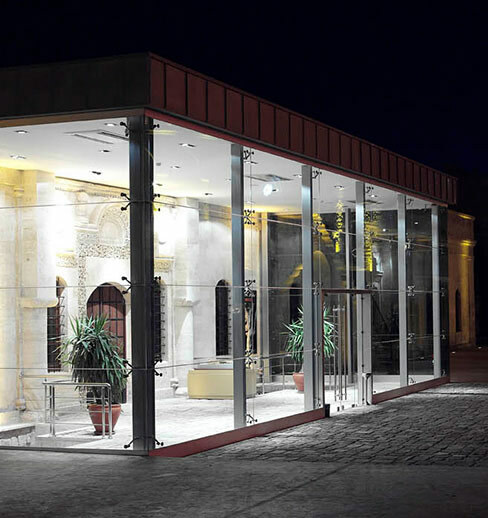 Today Sakıp Sabancı Mardin City Museum which is a private museum affiliated to Sabanci Foundation presents a versatile museum environment with its permanent collection, educational programs, conferences and seminars aimed at showing and promoting the urban structure and culture of Mardin, while the Dilek Sabancı Art Gallery strives to constitute a modern and contemporary art platform with temporary exhibitions.